In London Chief Inspector Emily Baxter is informed of a murder committed in New York. The body of William Fawkes is caught up on the cross wires of Brooklyn Bridge, he has “Bait” cut into his chest. Another man is seen to jump off the bridge and when his body is recovered he is found to have “Puppet” carved on his chest. FBI Special Agent Elliot Curtis and Special Agent Daniel Rouche of the CIA fly over to London from America. Because of Baxter's famous solving of a former “Ragdoll” case, they want her to go back with them to help solve the two deaths as there are similarities between the cases. Baxter, Curtis and Rouche visit Masse who was jailed for the Ragdoll murders to see if he can shed any light on the New York deaths. He stays silent throughout the whole of the interview. As they are leaving, Masse is murdered by a fellow prisoner who then commits suicide. On Masse's chest is carved “Bait” and on his killer's chest the word “Puppet” has been cut into the flesh. Baxter, Curtis and Rouche fly to New York only to be confronted with the news of another “Bait” and “Puppet” murder. It's only a matter of days before there is another in London and so begins alternating similar deaths between New York and London. The team are at a loss to find a connection between all the murders and then they discover all the “Puppets” were seeing psychiatrists. Could this be what they all have in common, but why would it make them kill? Then there is a really horrific major incident in New York. There is concern that there could be something similar planned for London. Rouche and Baxter fly back to the U.K. A “Critical Situation” is declared in London. Can the police and Special Forces find the likely target in time to prevent a similar devastating disaster and save a huge loss of life? 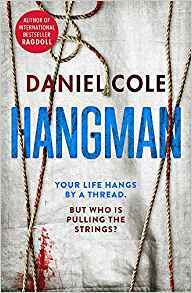 Daniel Cole has worked as a paramedic, an RSPCA officer and most recently for the RNLI, driven by an intrinsic need to save people or perhaps just a guilty conscience about the number of characters he kills off in his writing. 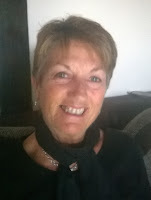 He currently lives in sunny Bournemouth and can usually be found down the beach when he ought to be writing book two instead.